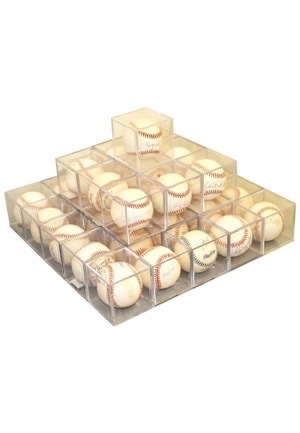 A large grouping of autographed baseballs from MLB stars. 35 baseballs in total with signatures that are highlighted by Wade Boggs, Sammy Sosa, Cecil Fielder, Vida Blue, Dante Bichette, Tommy John, Dale Murphy and many others. Accompanied by a LOA from JSA.